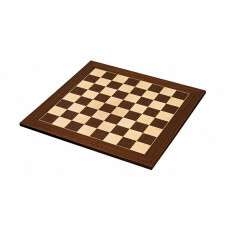 All chess boards consist of 8 × 8 = 64 dark and bright squares. Some boards have coordinates marked with numbers 1-8 horizontally and with the letters a-h vertically. Some boards have only decorative lines without coordinates. Do you need to tell someone how it went in the match or do you plan to compete, then you need a board with coordinates. 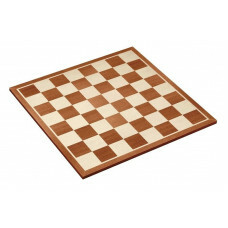 Chess boards can vary widely in material, color and size, below you will find a wide range of carefully selected boards. 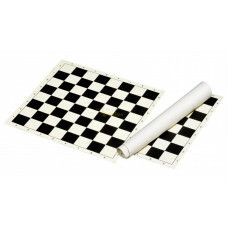 Plastic Chess Board, AN 2493 / Very affordable and practical chessboard for both indoor and outdoor use, easy to roll up and start playing. Field Size 50 mm .. 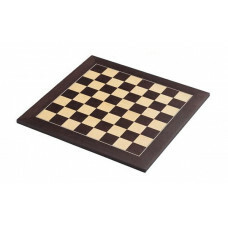 Chess Board made of MDF, AN 2501 / Non foldable chessboard only for indoor use, printed optic mahogany design. Field Size 45 mm See "Specification" for deta.. 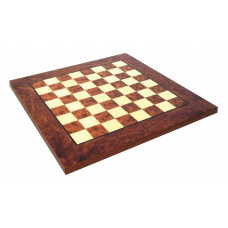 Chess Board made of alder, AN 2306 / Non foldable wooden chessboard with inlays. Ornamental line, matt-finished, rubber base. Field Size 40 mm See "Specific.. Chess Board made of alder, AN 2305 / Non foldable wooden chessboard with inlays. Ornamental line, matt-finished, rubber base. Field Size 40 mm See "Specific.. Chess Board made of alder, AN 2307 / Non foldable wooden chessboard with inlays. Ornamental line, matt-finished, rubber base. Field Size 45 mm See "Specific.. 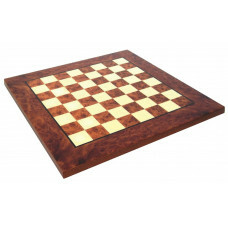 Chess Board made of alder, AN 2309 / Non foldable wooden chessboard with inlays. Ornamental line, matt-finished, rubber base. Field Size 50 mm See "Specific.. 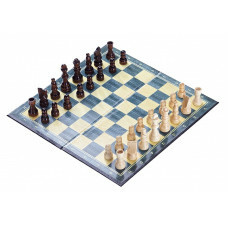 Wooden Chess Board, AN 2370 / Foldable chessboard with inlays. Chess notation, ornamental line, matt-finished, rubber base. Field Size 50 mm See "Specificat.. Chess Board made of alder, AN 2310 / Non foldable wooden chessboard with inlays. Ornamental line, matt-finished, rubber base. Field Size 50 mm See "Specific.. Chess Board made of alder, AN 2311 / Non foldable wooden chessboard with inlays. Ornamental line, matt-finished, rubber base. Field Size 55 mm See "Specific.. 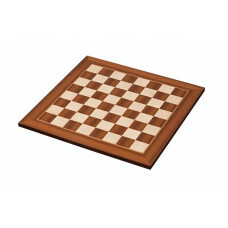 Chess Board made of walnut, AN 2346 / Non foldable chessboard with inlays of walnut and maple. Ornamental line, matt-finished, rubber base. Field Size 50 mm .. Chess Board made of walnut, AN 2347 / Non foldable wooden chessboard with inlays of maple. Ornamental line, matt-finished, rubber base. Field Size 50 mm See.. Chess Board made of maple, AN 2321 / Non foldable chessboard made of sycamore maple with inlays of maple, natural and black stained. Ornamental line, matt-fini.. Chess Board made of maple, AN 2324 / Non foldable chessboard made of sycamore maple with inlays of maple, natural and black stained. Ornamental line, matt-fini.. 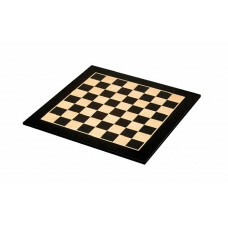 Chess Board made of maple, AN 2325 / Non foldable chessboard made of sycamore maple with inlays of maple, natural and black stained. Ornamental line, matt-fini.. Chess Board made of maple, AN 2326 / Non foldable chessboard made of sycamore maple with inlays of maple, natural and black stained. Ornamental line, matt-fini.. 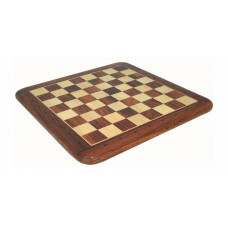 Chess Board made of ash, AN 2456 / Non foldable chessboard made of ash with inlays of maple, natural and brown stained. Ornamental line, matt-finished, rubber .. 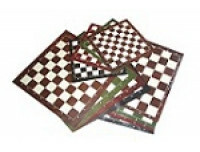 Chess Board made of ash, AN 2457 / Non foldable chessboard made of ash with inlays of maple, natural and brown stained. Ornamental line, matt-finished, rubber .. 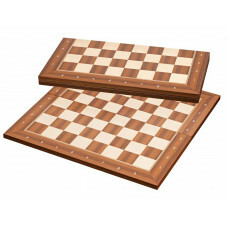 Chess Board made of ash, AN 2458 / Non foldable chessboard made of ash with inlays of maple, natural and brown stained. Ornamental line, matt-finished, rubber .. 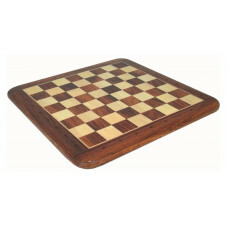 Chess Board made of ash, AN 2459 / Non foldable chessboard made of ash with inlays of maple, natural and brown stained. Ornamental line, matt-finished, rubber .. Chess Board made of maple, AN 2400 / Non foldable chessboard made of maple with printed playing field in natural and black. Matt-finished, rubber base. Field S.. 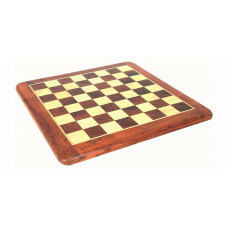 Chess Board made of maple, AN 2300 / Non foldable chessboard made of maple with inlays of rosewood and maple. Matt-finished, rubber base. Field Size 55 mm. .. Chess Board made of ash, AN 2331 / Non foldable chessboard made of ash with inlays of beech and ash, natural and black stained. Triple ornamental line, matt-fi.. 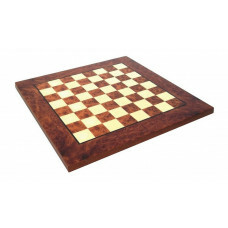 Chess Board made of walnut, AN 2351 / Chess board in high quality Scandinavian design for the discerning. Built in 18 mm thick walnut with inlays of ash and ma.. 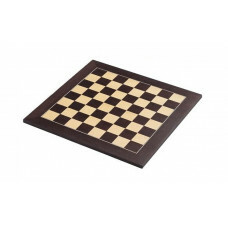 Chess Board made of Wenge, AN 2401 / Non foldable chessboard in high quality made of wenge with inlays of maple and wenge, matt-finish. Triple ornamental line .. Chess Board made of Wenge, AN 2402 / Non foldable chessboard in high quality made of wenge with inlays of maple and wenge, matt-finish. Triple ornamental line .. 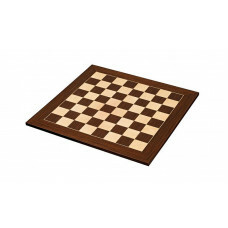 Chess Board made of Wenge, AN 2403 / Non foldable chessboard in high quality made of wenge with inlays of maple and wenge, matt-finish. Triple ornamental line .. Chess Board made of ash, AN 2481 / Non foldable chessboard in high quality made of ash with inlays of maple and ash, natural and black stained. Double ornament.. 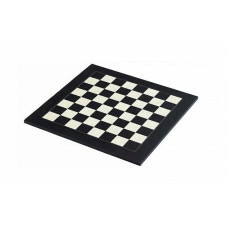 Chess Board Black & White M, AN 2452 / Non foldable chessboard in high quality made of bird-eye-maple, white and black, triple ornamental line, inlays, mat.. Chess Board Black & White M, AN 2453 / Non foldable chessboard in high quality made of bird-eye-maple, white and black, triple ornamental line, inlays, mat.. Chess Board Black & White M, AN 2454 / Non foldable chessboard in high quality made of bird-eye-maple, white and black, triple ornamental line, inlays, mat.. 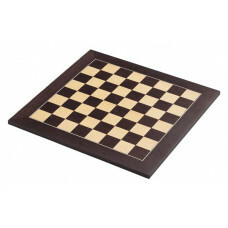 Chess Board Black & White M, AN 2455 / Non foldable chessboard in high quality made of bird-eye-maple, white and black, triple ornamental line, inlays, mat..
Chessboard of Golden Rosewood, AN G10200 / A chessboard with very attractive curvy shape, made of golden rosewood and sycamore inlaid by hand. 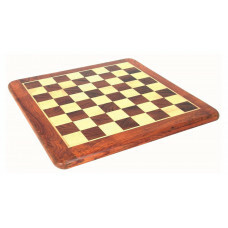 With rounded edg..
Chessboard of Golden Rosewood, AN 10200N / Chessboard with chess notation, made of golden rosewood and sycamore inlaid by hand. With rounded edges and corners ..
Chessboard of Golden Rosewood, AN G10201 / A chessboard with very attractive curvy shape, made of golden rosewood and sycamore inlaid by hand. 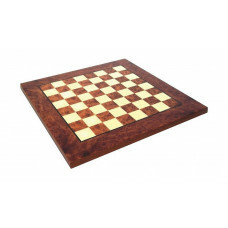 With rounded edg..
Chessboard of Golden Rosewood, AN 10201N / Chessboard with chess notation, made of golden rosewood and sycamore inlaid by hand. With rounded edges and corners ..
Chessboard of Elm Root, AN 721R / Elm is one of the most selfless-beautiful wood varieties with unique color shades in orange and brown. Combined with Italian ..
Chessboard of Elm Root, AN 722R / Elm is one of the most selfless-beautiful wood varieties with unique color shades in orange and brown. Combined with Italian ..
Chessboard of Elm Root, AN 723R / Elm is one of the most selfless-beautiful wood varieties with unique color shades in orange and brown. Combined with Italian ..
Chessboard of Elm Root, AN 724R / Elm is one of the most selfless-beautiful wood varieties with unique color shades in orange and brown. Combined with Italian ..